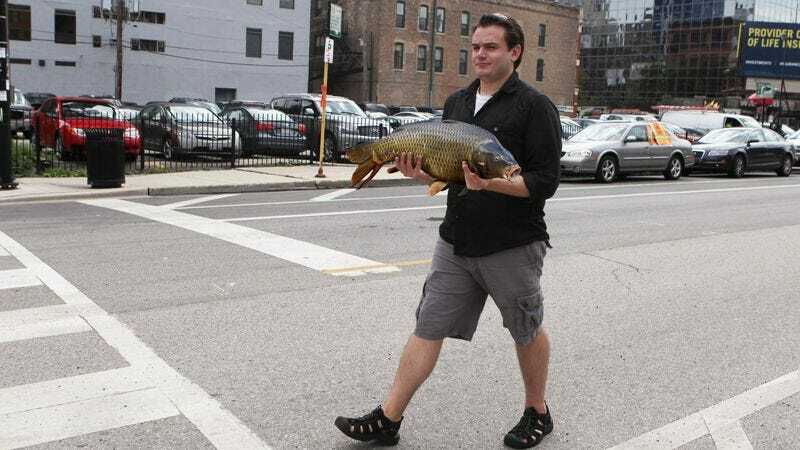 BOSTON—Announcing its plan to offer short-term, affordable carp rentals for urbanites and college students who don’t own a carp of their own, Zipcarp Inc. launched a brand-new fish-sharing service earlier this month. According to company officials, Zipcarp’s inaugural fleet consists of 8,000 carps in six major American cities and several university towns, providing customers with the option to rent a carp by the hour or day. Potter said the Zipcarp rental process consists of three simple steps: First, customers visit Zipcarp.com and apply for membership. Second, they receive their CarpCard in the mail, with which they can book their fish online or by phone, choosing their preferred carp habitat and species. And lastly, Zipcarp clients show up at their nearest Zipcarp rental station and pick up their fish, which they will return to the exact same spot at the end of their reservation. Members can also purchase gall bladder insurance for an additional fee. Thousands are reported to have signed up for the service already, with many telling reporters that it’s a great alternative to the long lines and confusing paperwork that tend to be part of the normal carp-rental experience. In addition, members said they liked the expedience. For example, rather than going all the way to the airport to rent a carp, now they can simply walk up to a parking space near their home, find their carp, hold their CarpCard up to the fish’s gills, and the carp is theirs. “We might pay a little extra for a really cool one, too, like a Hypophthalmichthys nobilis or a Ctenopharyngodon idella,” she added. University of Virginia freshman Ben Osgood told reporters that while he usually has no need for a carp, there are still occasions when one would certainly come in handy.